Originally published in the Arkansas Democrat-Gazette. It’s no secret that Arkansas has struggled with the issue of generational poverty for decades. We’ve become accustomed to lists and statistics showing our state at or near the bottom when it comes to measuring poverty. From the Delta to the Ozarks and all points in between, it’s an issue with which we’ve become all too familiar. And it’s why I’m supporting the Working Families Opportunity Act, which creates a refundable state Earned Income Tax Credit, or EITC. President Ronald Reagan famously called the EITC “the best anti-poverty, best pro-family, and best job creation measure to come out of Congress.” I couldn’t agree more. Unlike many anti-poverty measures so frequently discussed and debated, this one encourages and rewards work, and has been adopted by 26 other states, both red and blue. Unlike a tax break, the EITC amounts to a refund for low-income working families based on their annual earned income. It’s a financial shot in the arm for the folks who need it most, and it can boost financial assets and savings while helping them avoid future financial setbacks. Combined with the minimum wage increase passed by voters in 2014, an Arkansas EITC would be a powerful anti-poverty tool. It’s also good for local economies. The EITC provides an opportunity for working families to buy new school clothes, repair a car, or replace that appliance they have been needing, which means dollars flowing into local businesses. According to economists, each dollar of EITC generates $1.50 to $2 in business impact across Arkansas. And perhaps most importantly, every $37,000 in EITC creates a permanent job. As the CEO of Southern Bancorp, a financial institution founded to serve economically distressed communities. I’ve personally witnessed the effects of EITC dollars stimulating the economies of our most impoverished communities while at the same time incentivizing work, and I can attest to its impact. Since 2005 Southern Bancorp has participated in the Volunteer Income Tax Assistance program, also known as VITA. Our volunteers go through an intense round of IRS training in order to help working families file their taxes for free. Our employees volunteer because they know that it supports our mission of creating economic opportunity for those who need it most. Since beginning our VITA work we have filed more than 21,000 tax returns totaling nearly $42 million in refunds, of which over half were in the form of the federal EITC. That’s over $21 million in federal dollars going straight into local economies. And that’s just in the communities served by Southern Bancorp. In 2015 more than 300,000 of our fellow Arkansans earned the federal EITC. That clearly shows both a need and opportunity for our lawmakers to help families and economies across the state. And while I believe our work and the work of other organizations devoted to this issue is vital, a refundable state EITC has the potential to surpass previous efforts. With growing bipartisan sponsorship, I’m hopeful that the Working Families Opportunity Act, HB1161, will reach Gov. Hutchinson’s desk. Our governor has made public his plans for low-income tax relief, and a state EITC would be the best vehicle to put his plan into action. Both he and our legislative leaders have shown a strong desire to support working families and grow our economy, and I encourage them to underscore those efforts by supporting this important bill. However, a good bill is likely to remain just a bill without support from the public as well. If, like me, you believe Arkansas’ working families are just as deserving of opportunities for their hard work as are wealthier families, I hope you’ll take the time to contact your lawmaker and ask that they support the Working Families Opportunity Act. It’s time we ensured that the American dream is a reality for all Arkansans, especially those who have already proven that they are willing to work for it. 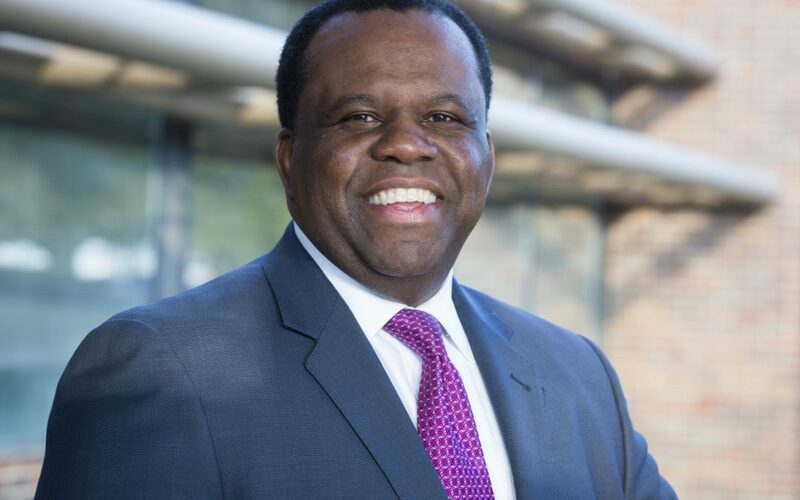 Darrin Williams is the CEO of Arkansas-based Southern Bancorp Inc., one of America’s largest community development financial institutions. Founded in 1986 to create economic opportunity in financially underserved communities in rural Arkansas, Southern Bancorp is a $1.2 billion financial institution with 44 locations in Arkansas and Mississippi serving more than 80,000 customers.